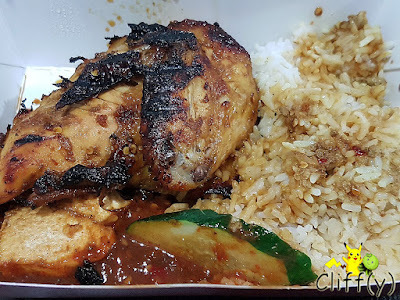 Gado & Grill, an Indonesian eatery at One Raffles Place, caught my attention a few days ago, although I didn't order anything at that point of time. Given that I could get the food delivered to my house, I decided to have something from there for dinner yesterday. 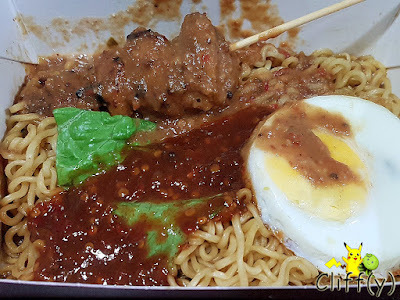 It's a dish invented by the eatery, featuring the perennially favourite Indomie Mi Goreng topped with chili and peanut sauce typically found in gado gado, a kind of Indonesian salad. Applauding the twist to the instant noodle, I found it to be spicy enough for my liking. It came with an egg and a chicken satay that could be juicier. 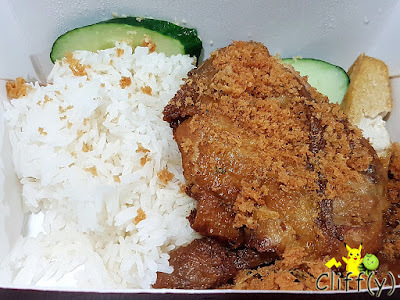 Besides the trademarked main course, I also tried the ayam penyet (lit. smashed chicken) that came with enough crunchy flakes. It was tasty, but it could be slightly less oily. There was a small piece of beancurd and two cucumber slices as accompaniments. As for the grilled counterpart, an adequate amount of kecap manis (Indonesian sweet soy sauce) was used that permeated into the white meat. The wing was slightly burnt, but I didn't really mind that as the meat was tender. The chili sauce was pretty spicy, but not so fragrant. 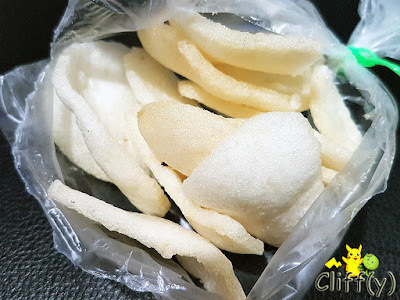 Each of the dishes mentioned above came with a packet of garlic crackers, which were addictive, as well as a choice of drink (not shown). At present, the brand has got five branches across the island. Pika's advice: For masochists out there, you may want to try their BonSoto - clear chicken soup sprinkled with extremely spicy chili powder. You've been warned!